Our brief from Redraven was a simple one: design a rock solid, reliable wireless system with a small build cost suitable for volume production. However, both requirements presented significant challenges and an intimate knowledge of short lead time and low-cost system components. Speedview’s innovative design needed to be supported by first class electronics with worldwide frequency allocation and reliable operation at race starts. This meant ASH was perfectly positioned to help. Our focus on and track record of right-first-time high-quality design matched with long experience in consumer electronics using low power radio and embedded software resulted in another right-first-time design. ASH’s experience in managing electronics production and wide network of manufacturing partners enabled us to offer Redraven a seamless transition from prototype to production with ASH managing the supply of assembled boards. 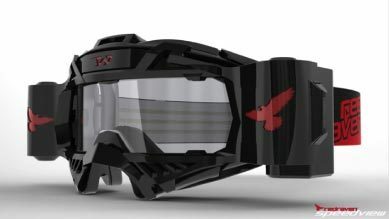 Such was the success of the project we are excited to continue partnering with Redraven in future projects as Speedview leads the technology revolution of goggle roll-off systems. Redraven is dedicated to a simple philosophy “Intelligent Innovation”. Their aim is to design and engineer the world’s most innovative and high-performance products for the action sports industry. They challenge the boundaries of engineering and design in sports by using the most advanced ideas, technologies, components and materials possible. “ASH are highly professional, knowledgeable and skilled in Wireless (RF) PCB technologies and design. Their attention to detail is second to none and their work ethic is outstanding. ASH has supported and guided us from concept right through to production without any issues or delays.